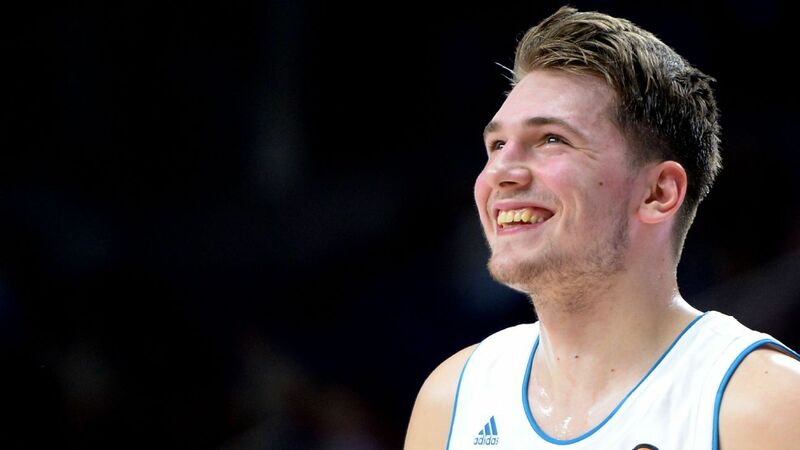 Slovenian basketball star Luka Doncic of Real Madrid is the No. 1 overall pick in June’s NBA draft, but says he is unsure about committing to the NBA. Real Madrid is in the EuroLeague Final Four, which ends with the championship game on Sunday. When he was asked during a news conference if these will be the last two games he plays in Europe, Doncic kept his options open. “I’m not sure if these are the last two games,” Doncic said in Serbian. “We are yet to make this decision. Perhaps after the season.” Doncic reportedly declared for the draft last month and is expected to be drafted by either the Phoenix Suns at No. 1 or the Sacramento Kings at No. 2. 19-year-old Doncic has played in EuroLeague since 2015, and is one of the top European prospects ever. Early entry draft candidates have until 10 days before the draft to withdraw, which would fall on June 11.